Armed with stones, Kalashnikovs, and the scarcely believable martyrdom of the suicide bomber, a generation of Palestinians has confronted one of the most lethal armies in the Middle East in a battle that has stunned and horrified the world. For almost two decades the Intifada has been the byword for Palestinian resistance to Israeli occupation. But, for all its familiar usage in the media, many people remain unclear as to what the Intifada really is, or how it began. Just what fuels the anger? Who are the key players in this deadly clash and where, during these dangerous days in the Middle East, does the resistance go from here? 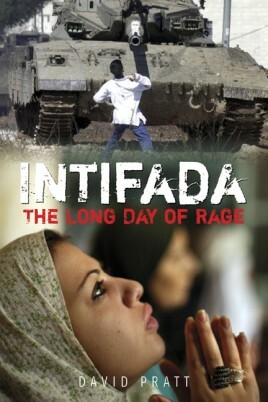 Part reflection, part reportage, in The Long Day Of Rage award-winning foreign correspondent and film-maker David Pratt, takes the reader on a journey across the frontlines of the Palestinian uprising. From the War of the Stones in the 1980s, to the eruption of the al-Aqsa Intifada in 2000, and the ultimate rise of Hamas, this is an eyewitness tour through the Islamic hotbeds, beleaguered refugee camps, and bomb-makers’ dens of the West Bank and Gaza Strip. Above all, it is a gripping and graphic account of a people's struggle to shake off oppression as viewed from the ground zero of besieged Ramallah and the ruins of a shell-shattered Jenin. David Pratt has been a foreign correspondent and photojournalist specialising in the Middle East, Arab and Islamic world for more than twenty years. He has worked for Reuters, the Institute for War and Peace Reporting (IWPR), and is a regular contributor to the BBC on conflict and foreign affairs issues. During an adventurous career, Pratt has covered wars across the Middle East and Africa, including Israel/Palestine, Iraq, Congo, Sudan and Somalia, and has twice been a finalist in the Amnesty International Media Awards for his reporting on human rights issues. In Afghanistan in 1989 he had the dubious pleasure of having tea and a chat with Osama bin Laden during a lull in fighting around the city of Jalalabad. David Pratt is currently the Foreign Editor of the Sunday Herald.